Figured I'd post this in the portable section since it's so hurtin'. I picked this up at a sale today. Salvation Army regularily 9.99, today 2.99! Have absolutely no use for it, but couldn't resist for some reason. It's brand new. I guess the owner bought it and never used it. Package contains everything in its plastic. Wow! I plugged it in tonight, using the adaptor. With the ESP feature engaged, you can literally shake and bang it without any skipping. It can drive my K240 no problem, however when I hooked up my amp, the fidelity went through the roof. It has a really bright, untolerable sound without its bass contol engaged but the amp took care of this. Well I've been up most of the night. I decided to put this thing in my wife's bathroom. I bought her an antique dressing table some time ago. 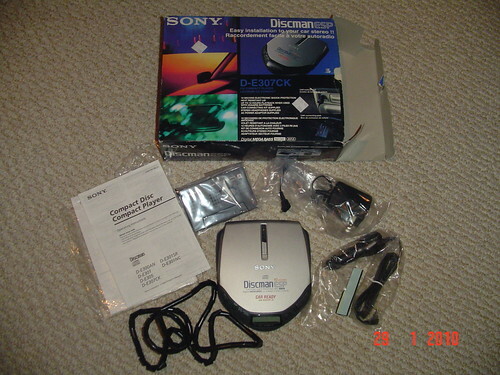 On the left is a contraption for holding the hairdryer, "handsfree", and on the right, the discman lined into a speaker dock. 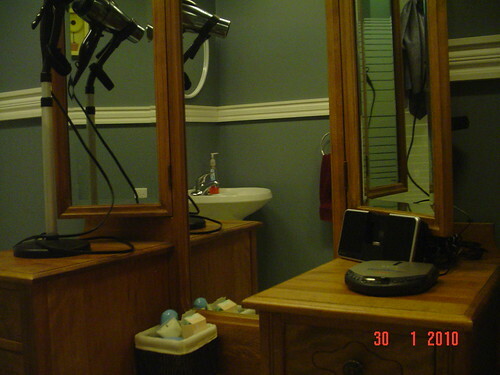 She loves listening to tunes while she gets ready, so this should score big. Kool. Always handy to have one of those around, especially at that price! Viddyoze Live Action is a fantastic 3D animation software platform. Viddyoze Live Action allows you to create 3D animated video elements, such as Intros, Outros, Segways, Social Actions, Call-lá»›n-Action, and more. You ngang quite mach create anything 3D animated in your video. Viddyoze Live Action is a web-based cloud computing platform. This means that it will work with PC as well as Mac. You vÃ¬ not have to install anything on your computer. All you need is an internet connection and you can access the platform from anywhere and anytime. Another positive thing about cloud-based web-based platforms is that video displays will always work at the same speed. It does not matter what kind of computer or mobile device you have. Hit render & watch your video being built in the cloud in just a few minutes! How you can buy it & What the price?